Info: (3-wire) 3-pin connector. 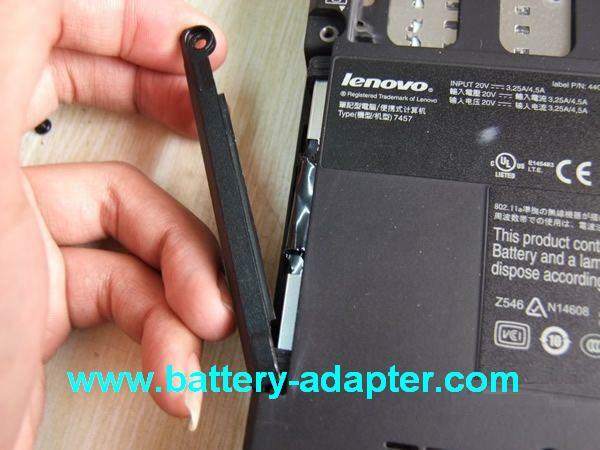 Doesn't fit Thinkpad X200 Tablet. Info: Doesn't fit Thinkpad X200 Series. Fist of All, please shut down your Thinkpad X200. Disconnect the AC adapter and remove the battery. 1. 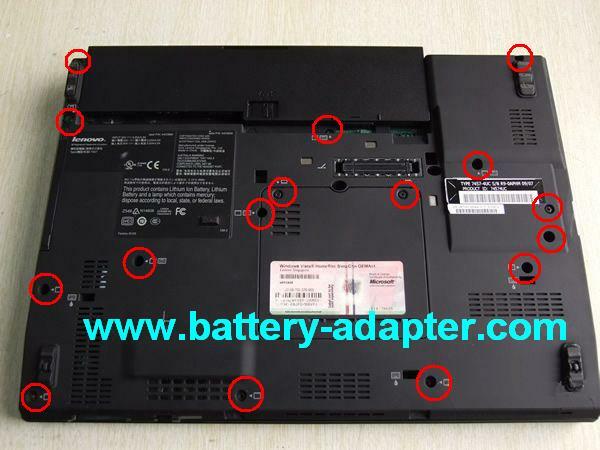 Turn the Thinkpad X200 upside down, Unscrew all the screws marked in the picture. 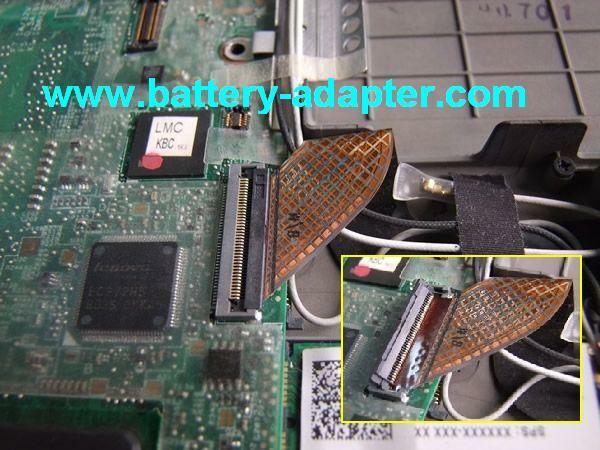 Remove the DIMM cover and remove the DIMM card. Turn the Thinkpad X200 over, open it and remove the keyboard. 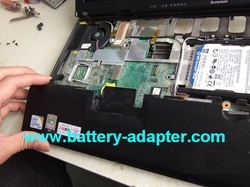 You can refer to How to Replace the Thinkpad X200 Keyboard. 2. Uplug the ribble cable of the fingerprint reader. 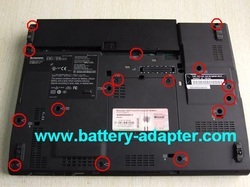 Some laptops doesn't have the fingerprint reader, skip this step. 3. Removal the palm rest. 4. 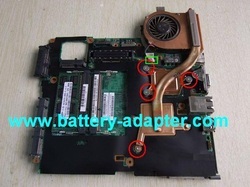 Now, you can access the Thinkpad X200 motherboard. 5. 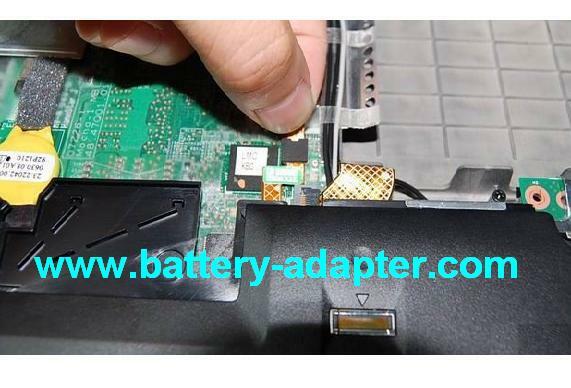 Gently uplug the antenna RF connectors and remove the two screws securing the wireless LAN card. 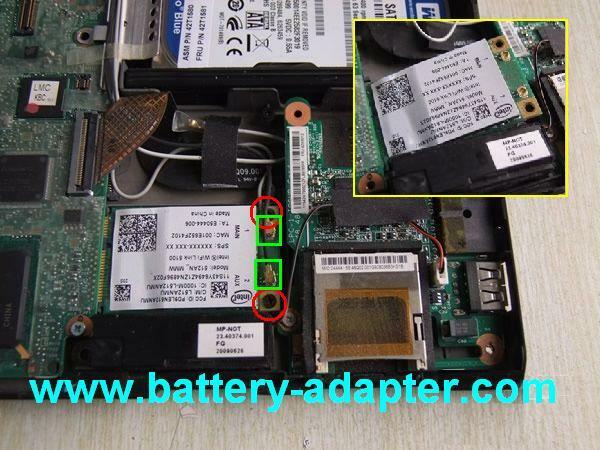 Remove the wireless Lan card. In models with wireless LAN card that has two antenna connectors, plug the gray cable into the jack labeled MAIN or M on the card, and the black cable into the jack labeled AUX or A. 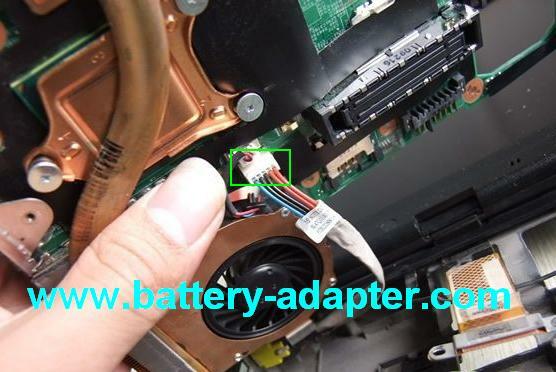 If the computer you are servicing has three cables, put the white cable in the cable protection tube. 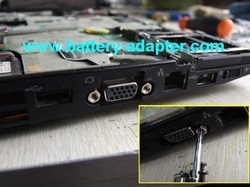 In models with wireless LAN card that has three antenna connector, plug the gray cable (MAIN) into the jack labeled TR1, the white cable (3rd) into jack labeled RO or TR3, and the black cable (AUX) into jack labeled TR2 on the card. 6. Unplug the vide cable. 8. Pull out the HDD. 9. Unlock the connetor of HDD cable, unplug the HDD cable. 10. Remove the top shielding assembly. 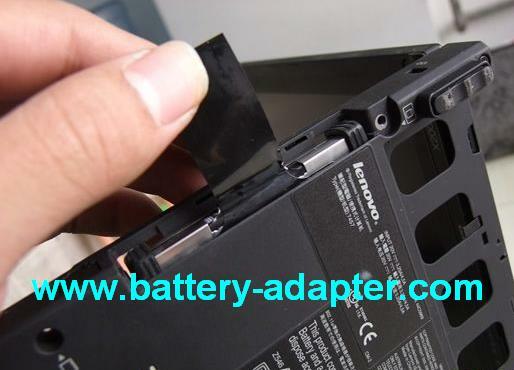 If there is screw securing it, please remove the screw. 11. Loose the VGA connector, you can do it by a screw driver. 12. 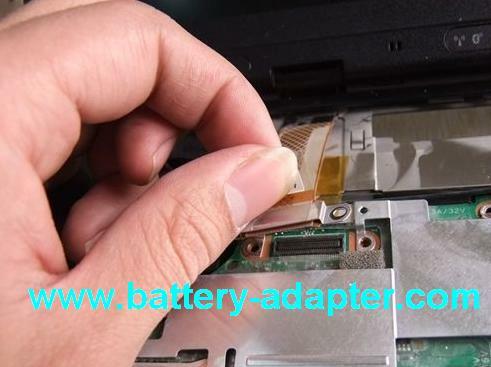 Lift up the motherboard as shown, unplug the DC-in connector cable. Now, you can remove the motherboard. 13. 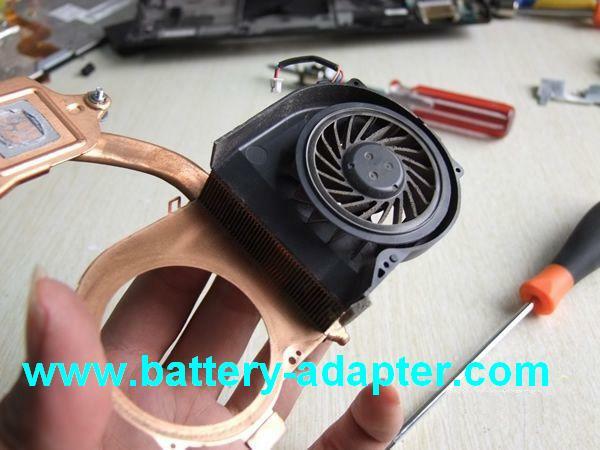 Turn over the motherboard, remove the four screws and uplug the fan cable. 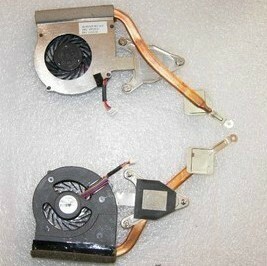 You can install you new Thinkpad X200 fan assembly now. 14. 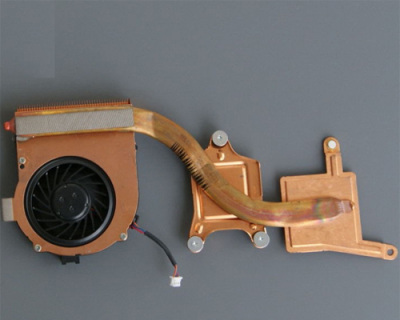 If you want to clear the fan only, you can take out the fan by opening the fan cover, you need to unscrew three screws and pry up the clips only. You can get the complete official Disassemble Manul of Thinkpad X200 here. 1. 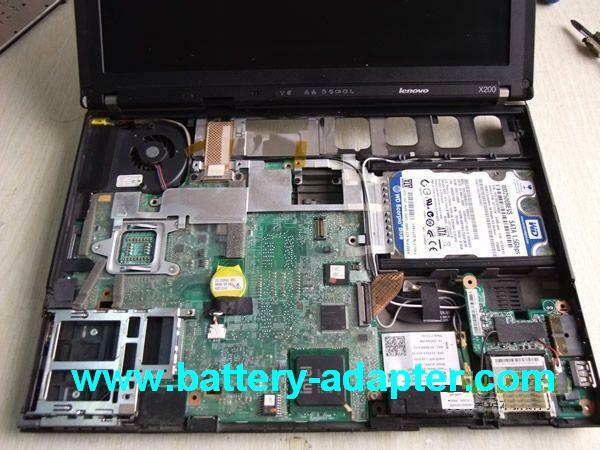 Lenovo Thinkpad X200 X200S Keyboard. 3. 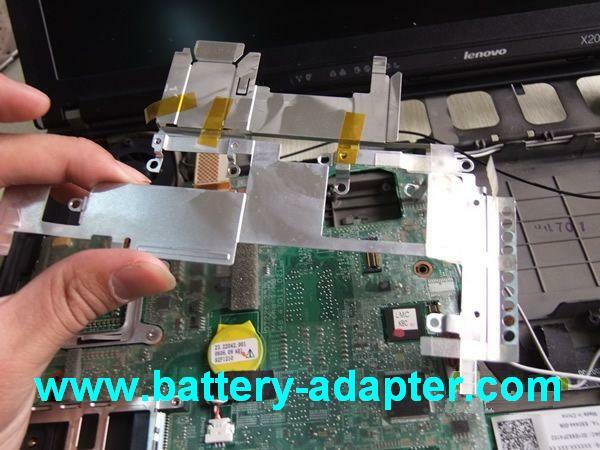 Lenovo Thinkpad X200 X200S Inverter.